Times they are a changin’. Ninety-three years after the formation of the RSS, the exclusively male, Hindu-dominated organization which is regarded as the guiding force behind the BJP has decided to turn over a new leaf. The reasons can only be speculated upon because on the face of it, there was no need for it to change, for everything was going well for it. Along with the BJP’s political ascendancy, the RSS, too, was flourishing. Its membership was increasing by leaps and bounds while the ruling party was appointing RSS functionaries as heads of various prestigious institutions even if some of them were thought to be undeserving of the honour. Why, then, has the RSS decided to break away from the past and make a new beginning? A possible reason is that for all the power and pelf which it acquired courtesy its proximity to the BJP, the RSS realized that it didn’t quite have the social respectability which it felt was its due. Its position was like that of a nouveau riche trader, whose material wealth did not entitle him to enter the lighted halls of the aristocrats. That access continued to be the monopoly of its critics ~ the Left-Liberals ~ presumably because the latter did not have what can be called the RSS’s anti-minority image. Hence, perhaps, the declaration by the RSS chief, Mohan Bhagwat, that the organization’s advocacy for a Hindu rashtra (nation) did not mean what its opponents claimed since such a nation will not exclude the Muslims. If there were no Muslims, there would be no Hindutva, he announced. To underline that he means business, the RSS chief let it be known that the organization had distanced itself from the most virulent of its anti-Muslim proponents, MS Golwalkar, who designated Muslims as Internal Enemies. The dumping of Golwalkar can be compared with Nikita Khrushchev’s de-Stalinization speech of 1956 which cut the communist Soviet Union’s umbilical cord with Stalinist tyranny, paving the way for Mikhail Gorbachov’s subsequent perestroika (restructuring) and glasnost (openness) which finally brought Russia into the modern, democratic world. Bhagwat can be said to have undertaken a similar surgical operation by endorsing India’s multicultural heritage as opposed to the saffron brotherhood’s Hindu-centric worldview. In the process, he has also praised the party which has traditionally championed the cause of Indian pluralism from the time of Mahatma Gandhi and Jawaharlal Nehru, viz. the Congress. What is politically intriguing, however, is that much of this goes against the BJP’s stance. For instance, Bhagwat’s direct opposition to the idea of ridding the country of any party runs counter to the BJP’s assertions about ushering in a Congressmukt (free) Bharat. Similarly, his granting of a place of honour to the Muslims in a Hindu rashtra will make it difficult for the BJP to persist with its largely insidious anti-Muslim electoral plank. In its absence, how will the party consolidate its Hindu votebank? There will be other problems, too, for the rabidly anti- Muslim saffronities, for their campaigns against inter-faith couples on the grounds of stopping love jehad or to encourage the reconversion of Muslims via ghar wapsi programmes will now have to come to an end. The lynchings of suspected beefeaters or Muslim cattle smugglers will also have to be stopped along with the cold-blooded killings of rationalists, scientists and journalists. And what about the venomous outpourings of the numerous trolls against the minorities and the Congress? Will Bhagwat be able to put a leash on the Hindu Right or will he, too, face a backlash as when a troll declared, buddha sathiya giya hai, or the old man has lost his head? 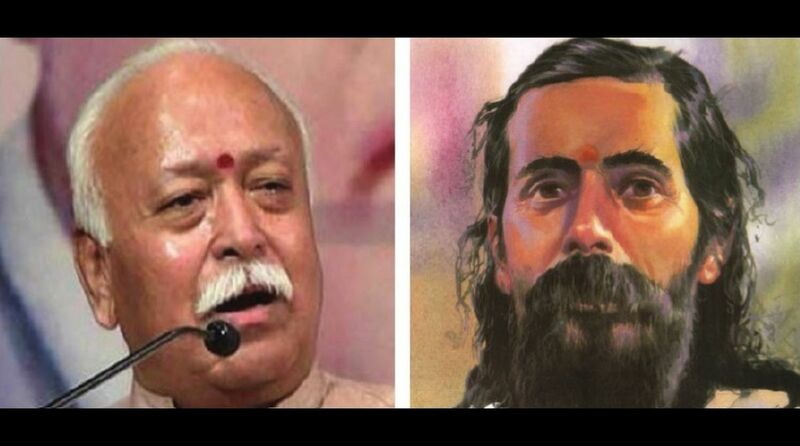 Bhagwat’s task of introducing an element of moderation in the Hindutva discourse will not be easy because the RSS is not the only organization in the Sangh Parivar. There are several others apart from the BJP, such as the Vishwa Hindu Parishad (VHP), the Bajrang Dal, the Akhil Bharatiya Vidyarthi Parishad (ABVP) and others. None of them is known for its sobriety or accommodative spirit, which is not surprising considering that they all have been raised on a poisonous diet of anti-minority sentiments for decades. For Bhagwat to bring them in line will require a herculean effort. An anti-minority outlook, exemplified by RSS found KB Hedgewar’s description of Muslims as yavan-snakes, has not been the saffron brotherhood’s only negative feature. It has also been regarded as primitive and backward-looking because of its fetishes about vegetarianism and the efficacy of cow’s urine along with efforts to impose Hindi because English is a disease left by the British, as vice-president Venkaiah Naidu has said. It will, therefore, take more than a formal commitment to pluralism for the RSS to gain wider acceptance. 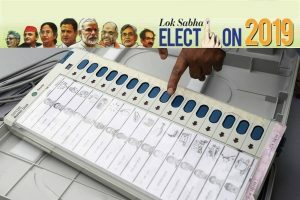 It will also have to show that just as it has acknowledged the Congress’s role in the independence movement, it will also have to accord recognition to the opinions of scholars who do not subscribe to the saffron view of the past, including outlandish claims about ancient India having had aeroplanes, television and the internet, which had turned the science congresses into a circus, as Nobel laureate Venkataraman Ramakrishnan said. Bhagwat deserves at least two cheers for trying to bring the RSS into the modern world, but it is too early to say whether he will succeed. The writer is a former Assistant Editor, The Statesman.